The Angola Oil & Gas 2019 Conference & Exhibition has been described as a critical launch pad for the Angola Government’s ambitious efforts to transform her economy and establish an era of new investments. The event under the auspices of the country’s President, H.E. João Manuel Gonçalves Lourenço is endorsed by the Ministry of Mineral Resources and Petroleum will be the year’s biggest gathering for investment in the oil and gas industry in Angola. According to the CEO of Africa Oil & Power, Guillaume Doane, “Angola is an African giant, and with the new reforms introduced under President Lourenço’s administration, the nation is entering a new era of wealth and prosperity. 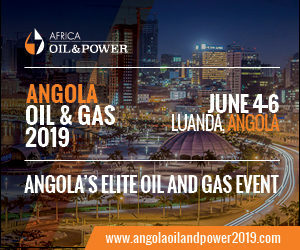 From June 4-6 in Luanda, Angola Oil & Gas 2019 will gather key governmental officials and C-level executives spanning the spectrum of the energy industry for a week of keynote presentations, moderated panel discussions, exhibitions, networking gatherings and investment facilitation. Highlights of regulatory and investment reforms, including the Natural Gas Regulatory Framework, increased incentives of foreign direct investment and improved terms for oil and gas exploration. 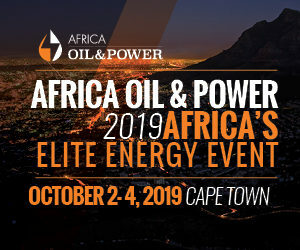 Angola’s 2019 Licensing Round, the country’s first in eight years, and the new program for marginal oil fields will be launched at the Angola Oil & Gas 2019 Conference and Exhibition hosted by Africa Oil & Power. Introduction of Angola’s National, Oil, Gas and Biofuels Agency, which is now the national concessionaire of hydrocarbons, a role previously held by the country’s national oil company, Sonangol. Sonangol’s 30-month Regeneration Program to restructure the company, sell off assets and become more profitable. Confirmed speakers of the conference include H.E. João Manuel GonçalvesLourenço, President of Angola; H.E. Diamantino Pedro Azevedo, Minister of Mineral Resources and Petroleum; José Alexandre Barroso, Secretary of State for Petroleum; H.E. Gabriel Mbaga Obiang Lima, Minister of Mines & Hydrocarbons of Equatorial Guinea; H.E. Paulino Jerónimo, Chairman, National Oil, Gas and Biofuels Agency and Dr. Carlos Saturnino, Chairman of the Board, Sonangol EP. The conference will hold at Centro de Convenções Talatona (CCTA), official Venue Partner, and the exhibition will be held adjacent in the marquee of the Talatona Convention Hotel (HCTA), official Accommodation Partner. Partners of the event include African Energy Chamber, African Investment Development Alliance Corporation and the International Association of Geophysical Contractors.